my first three meals in new york city this trip were repeat visits. 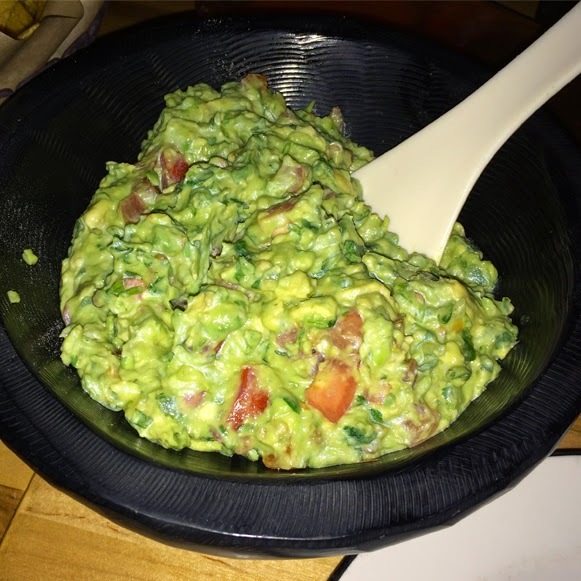 but for my second night we decided to try somewhere new ... one of my favorite food types : mexican ... which meant the obvious choice was dos caminos ... with four nyc spots, we opted for the park avenue (flatiron) location. to sum it up, dos caminos = a "modern mexican cuisine & tequila lounge" ... perfecto. melissa & halley : chicas in the city. not pictured : abby & alicia. both the guacamole & salsas were delicious. 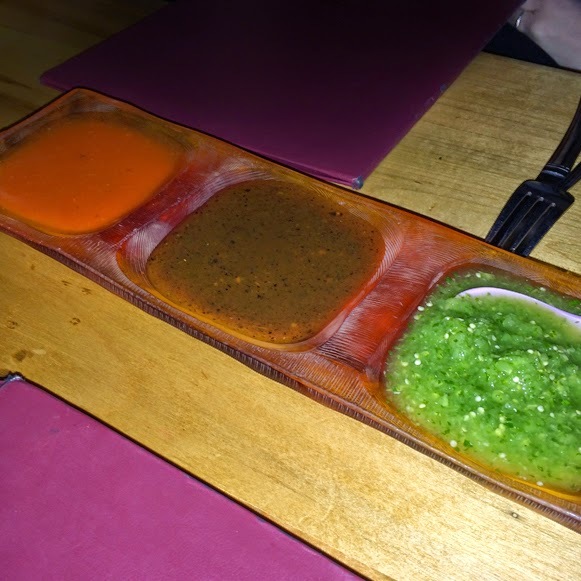 the guac was surriously fresh ... the salsas, lo mismo. the orange one in the corner was even too picante for me! i know, loco. grilled corn, poblano chiles, apples, pinto beans, green olives, tomato, crispy tortillas, lemon vinaigrette. sin queso. 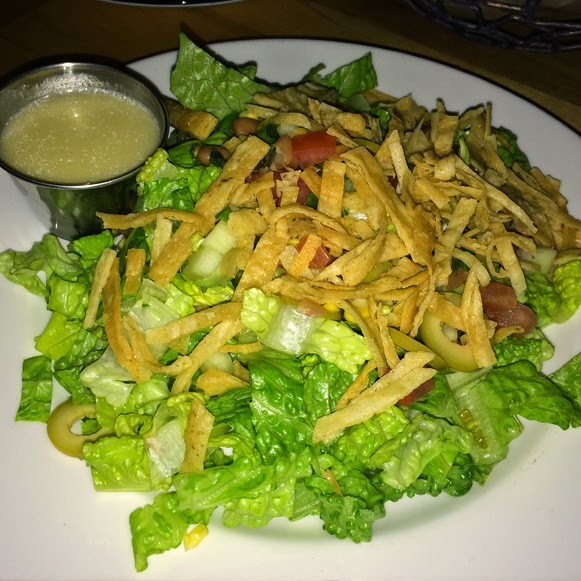 alicia & i decided to share this salad & some veg tacos (below) ... the salad? so many tasty toppings = the right way to make a salad. top(ping) notch. get it? grilled avocado, asparagus, refried white beans, cucumber pico de gallo. sin queso. 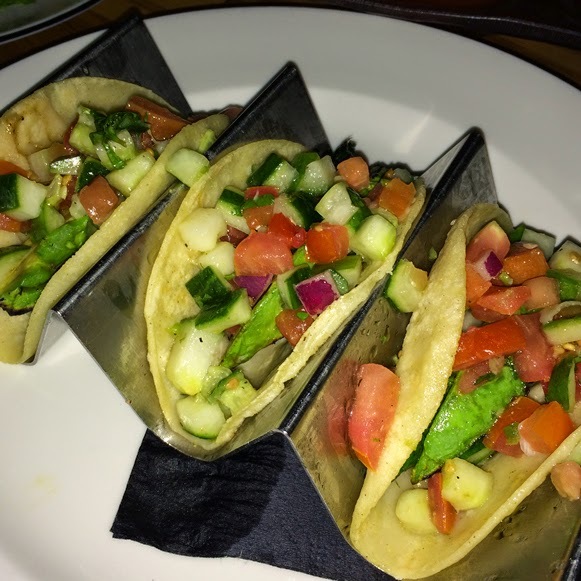 i believe my exact words were : "these are the best veggie tacos i've ever had." enough said. besides the fabuloso vegan food, dos caminos was great for another reason ... our server was so on top of it. like for real. not only was he just generally super attentive, but he was also on his game when it came to figuring out the vegan stuff. they even brought out the wrong dressing on the first try, which he noticed immediately. a+! i wish i knew your name, awesome dos caminos guy ... muchas gracias!